It goes without saying that Alex Danson is honoured to be taking over as England hockey captain from the legend that is Kate Richardson-Walsh. It doesn’t stop the ultimate professional that is Alex Danson saying so, though. And more than once. “It is an unbelievable honour,” she starts as she eases herself into her reign, half a lifetime after she made her international debut at the age of 16. “I never thought that I would take on that kind of role. The honour conferred, Danson gets down to examining the brass tacks of what the job entails. “Kate is almost an impossible captain to fill the boots of because she was so exceptional. In some ways I’m quite different. I’m quite quiet really, so I hope there will be players around me to fill that role. That will come easily for the forward who has won nearly 300 international caps, notched up more than 100 goals and has a mountain of silverware, including medals across seven consecutive European Championships, as well as the Olympic gold won under Richardson-Walsh’s inspired leadership in 2016. What Danson brings to the table is her unbridled passion and dedication to the game. She lives, eats, drinks, breathes and sleeps hockey. She is regularly the first to arrive for training, usually the last to leave, often spending extra hours in the gym to ensure she is at peak fitness. It is a dedication not lost on her team-mates and one of the reasons they elected her as their leader. Captaincy, though, will not be completely alien to Danson. 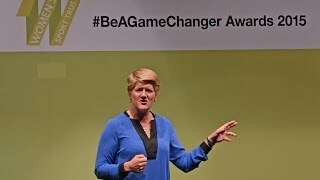 During a period of interregnum in the summer, she led England to bronze medals at both the Hero World Hockey League and European Championship. She was off to a memorable start when she scored her 100th international goal for England and Great Britain in the hotly-anticipated rematch against the Netherlands at Olympic Park. The Dutch, keen to exact revenge after losing the Olympic final in Rio, led by two goals before Danson inspired the comeback that took the game to a shootout England lost 4-3. But while Danson’s landmark goal was the talking point of the game, it was a social media post afterwards that really stole the show for the Hampshire-born athlete. “I didn’t know until a couple of days before that I was on 99. My brother told me – I was not very happy with him!” she recalled. “It was incredible. But the most special thing about that whole thing was there was a beautiful photo taken with myself, Hannah Martin, Emily Defroand and Lily Owsley celebrating. Photo: Alex Danson shoots and flies. It was a typical gesture from the Hampshire-born player who numbers Reading, Alton and Trojans among her former clubs. She has dedicated a large portion of her spare time to helping grow the sport in with numerous coaching sessions over the years that have inspired countless future Owsleys, Martins and Defroands. She has now set up the Alex Danson Hockey Academy, in conjunction with Everybody Active, taking training camps across the country in an attempt to reach children of all backgrounds. “My passion for hockey is twofold,” Danson explains. “Obviously there’s playing in the national team, but it’s also about helping out at grassroots level. “We’ve got some tough targets: we want to reach 10,000 new 7-11 year olds by 2020. There’s lots of research to suggest that if you don’t catch young people before they hit secondary school then there’s a huge drop-out, so it’s a really important age to try and target. “It is a fantastic opportunity. In terms of the other side of my life it’s probably the happiest thing that I’ve done, alongside my international career as well. Danson can help fire the imagination of those pre-teen players, too, when she leads England in front of sell-out crowds in London next summer at the World Cup where she hopes to add to the global bronze she won back in 2010,. “Having a home World Cup and a home Olympics in your career is such a highlight,” the 2015 European Championship ‘Player of the Tournament’ said. “So of course you’ve got one eye on the World Cup, but in the world we live in, if you have one eye too far ahead you forget to make the most of things. Our sport is day-to-day, it’s about doing things to the best of your ability every single day and then that gets you to the top. It’s about keeping one eye on the prize and the other eye on what you do every day.